Do you rent your home and want to get a dog? Congratulations on deciding that you are ready to become a dog owner. 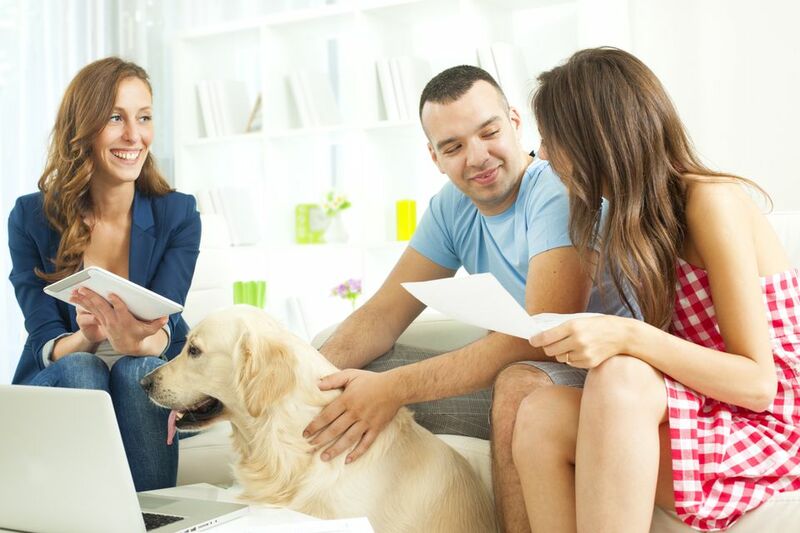 Now, before you can go out and choose the right dog for you, you must determine if you are allowed to have a dog in your rental home. One of the drawbacks of renting a house or an apartment is having to live with pet restrictions. Your lease may not specifically state that pets are prohibited, but it may have been implied when you first moved in. If your lease implicitly states "no pets" or "no dogs," then you must resign yourself to not having a dog until you move elsewhere. Do not attempt to sneak in a dog, and do not argue the terms of your lease. Either of these could result in termination of your lease. When you first signed your lease, your landlord will likely have made it clear whether the "no pets" restriction was negotiable or not. Most landlords have good reasons for not wanting dogs on rental properties. Irresponsible dog owners are notorious for damaging floors, irritating neighbors, having smelly apartments, leaving messes everywhere, and being obnoxious in general about their dogs. And when you get right down to it, irresponsible dog owners seem to outnumber responsible dog owners. Failure to abide by these rules will result in the dog's relocation and re-homing, or the tenant's relocation. Consider asking your landlord if he has any specific concerns he wants to address and add them to your contract. He may want you to adhere to certain size restrictions, or even have certain breeds he doesn't want in his building. Regardless of whether it is a fair request or not, honor it. It is ultimately his property, and he has the right to set force any rules and regulations that he wants. In addition to a contract, you should be offering to pay a damage deposit, or adding a substantial amount to an existing deposit. Your landlord may require this even if you do not offer. Offering one before he requires one is a gesture of good faith (or a preemptive strike).